If you’re a regular poker site player it’s likely that you’ve come across Boku poker deposits in the past. But weren’t sure what they were or if they’re safe. Boku is the latest mobile payment service that utilises your phone bill to deposit funds into your account. Best of all Boku poker deposits are one of the safest as you’ll soon find out. *T&C’s Apply to each offer above, click Bonus for more details. 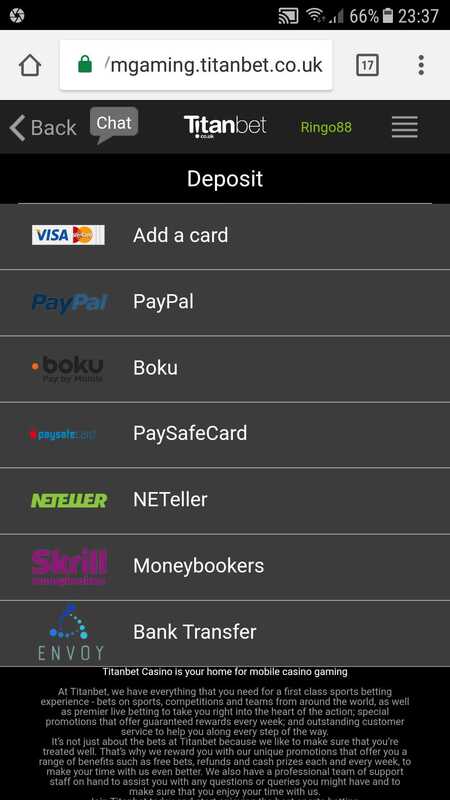 What is Boku Poker Deposit? As we mentioned previously Boku allows you to make a deposit using your phone bill. So instead of withdrawing money from your debit/credit card, the money is charged to your phone bill. This makes it a far more secure payment method compared to the more traditional banking methods, as users do not provide any card details. To make a deposit you simply enter you mobile number and the amount you want to deposit. You will then receive an SMS text message confirming the amount, requesting you to verify the transaction. 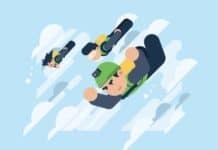 This adds an extra layer of security which is something that other ewallets such as Paypal and Netter do not currently offer. Boku poker sites will revolutionise the way punters will make mobile payments in the future. 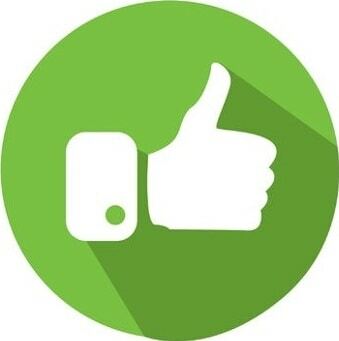 Once you respond to the SMS to confirm the transaction, you will receive a further text confirming the payment is complete along with a reference number. 1. First sign-up to one of the poker sites listed that provide Boku. 2. In Deposits page select the Boku – Pay by Mobile icon. 3. Enter the amount & select Deposit. 4. Tap on OK to be redirected. 5. Enter your mobile number and tap on Continue. 6. Wait to receive a text message and reply as per instructions. 7. 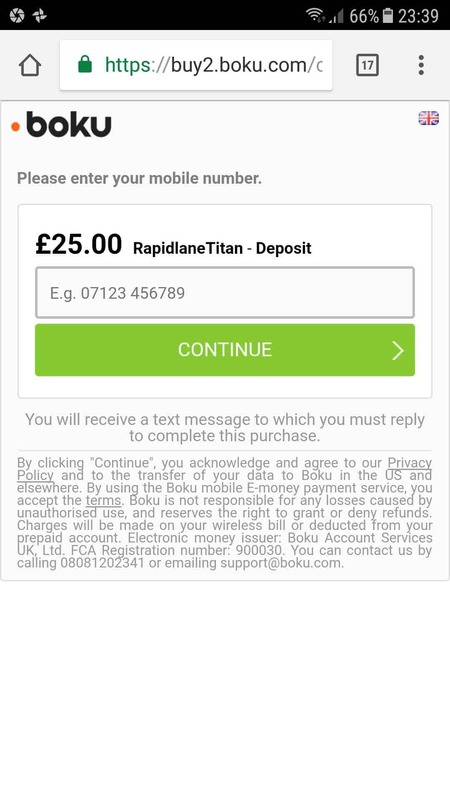 You will receive a confirmation SMS as a receipt. As we mentioned previously, the main advantage of using this technology has to be the speed to process the transaction for the user. But the first thing we hear is “OK it’s quick but is it safe?” Well Boku mobile payments are more secure than using debit/credit cards, as it does not require you to enter any financial details online. In addition to this you also receive an SMS message to verify the transaction so no-one can charge any monies onto you phone bill without your approval. Once the transaction has been made you’ll receive a receipt via SMS for the amount which is automatically credited to your account. 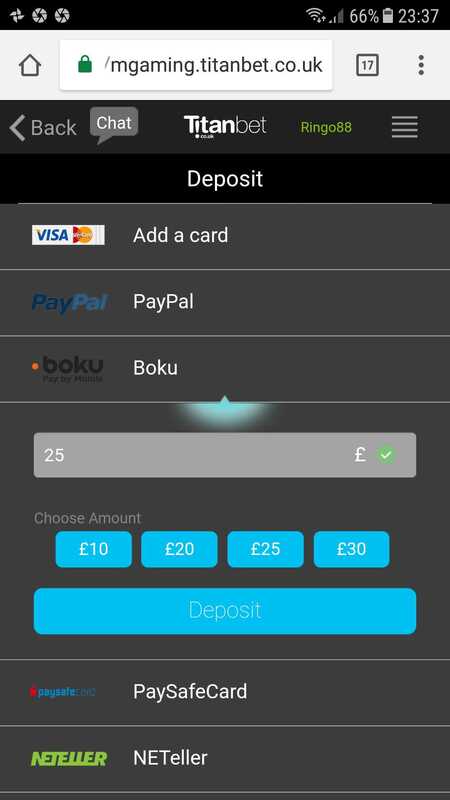 Boku does have it’s downside, the first being that the maximum you can deposit at any one time is £30. 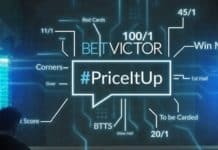 Now this might sound ridiculously small but we believe it’s a sensible amount and promotes responsible gambling. 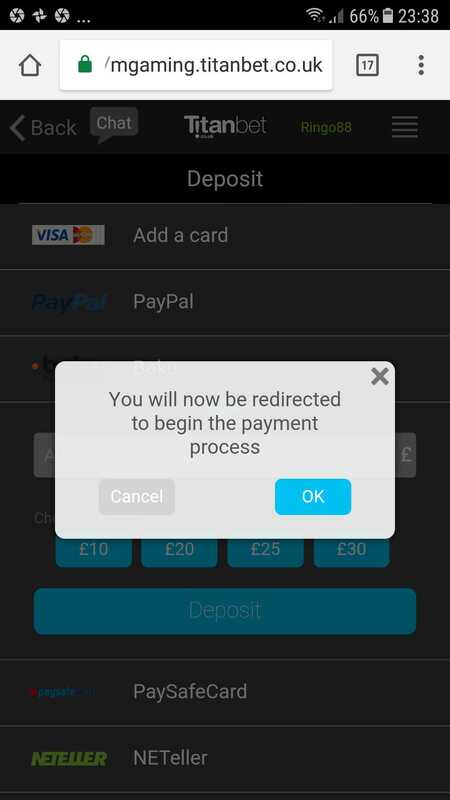 If you’re on a Pay as you Go you can take advantage of a hack that allows you use any soon to expire credit on your phone bill to top-up your poker account. So in effect you’ll receive free chips if there was no chance of you using the credit within the time-frame. We’re kicking off with mFortune Poker as it has the best no strings attached deal around. New players that sign-up will receive £5 bonus with with no wager requirements what so ever – what you win you keep. For those skeptics out there, mFortune does not ask you to enter any card details to get the bonus. Min winnings withdraw amount is £10 for depositing players and £30 for non depositing. Maximum withdraw £200 non-depositing players (UK) & €50 (non-UK). Titan Poker has built a strong reputation as a decent poker table site for players and is a subsidiary of the Juggernaut Titanbet brand so you know you’re backed by a big player. New players can score £60 when they deposit £30 up to an impressive £1,200. This offer only applies to the first deposit made & bonuses are awarded on buy-ins paid. Clearance rate is set to 480 points per £5. Players have 60 days to accumulate points needed to release bonus. It may not be the first poker site you think of but Netbet Poker is a firm favourite in the office with it’s smart mobile layout and cracking number of tournaments including free-roll tournaments for you to get stuck into, some with unbelievable jackpots. Right now you can get £15 cash for free when you deposit £15 or more and make sure you use the promo code FREE20 (which is in Euro’s) to receive the cash bonus. Bonus is credited in two stages: The first half received immediately after you deposit. The second will be credited 7 days after your first deposit. 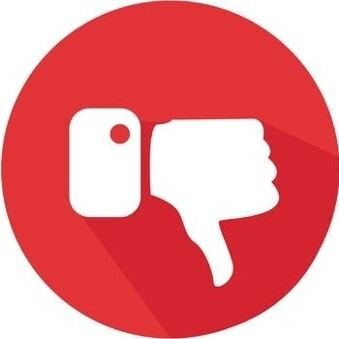 If a withdrawal is made before the second bonus has been credited, the player will no longer receive the the second part of the offer. 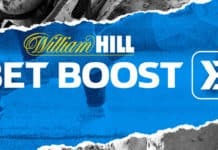 100% deposit bonus is released in £5 increments for every £550 iPoints earned. Bonuses will expire within 60 days. A leader in online poker boasting over 50k online players at any one time. With regular US and European Championships hosted by the poker giants, Pokerstars has become formidable brand. It’s design by poker fans for poker fans and is the go to place to get the best user experience on your mobile. £30 Free Play will be credited £5 daily & all tickets issued will expire within 21 days. During the bonus period you are unable to cash out any of the bonus amount, but you can withdraw any deposits made. This has always been a bit of a hidden gem as far as bookmakers go. The site runs at break-neck speed and is operated by one of the biggest up and coming brands in the business. Winner poker has one of the largest welcome bonuses of 250% on your first deposit up to €1,500. Winner does come with strict T&C’s so make sure you read all of the terms before depositing. Previous articleCan anyone stop Hamilton in 2018?